Aesthetic research of the interaction between us and architecture. Photography for me is self-knowledge, expansion of consciousness and departure from the usual framework of everyday life. By doing visual experiments, I try to understand where the boundary between how we see architecture and how we can see it. By changing the build point we can see a completely different picture of the World. Photographer based in Moscow, Russian Federation. 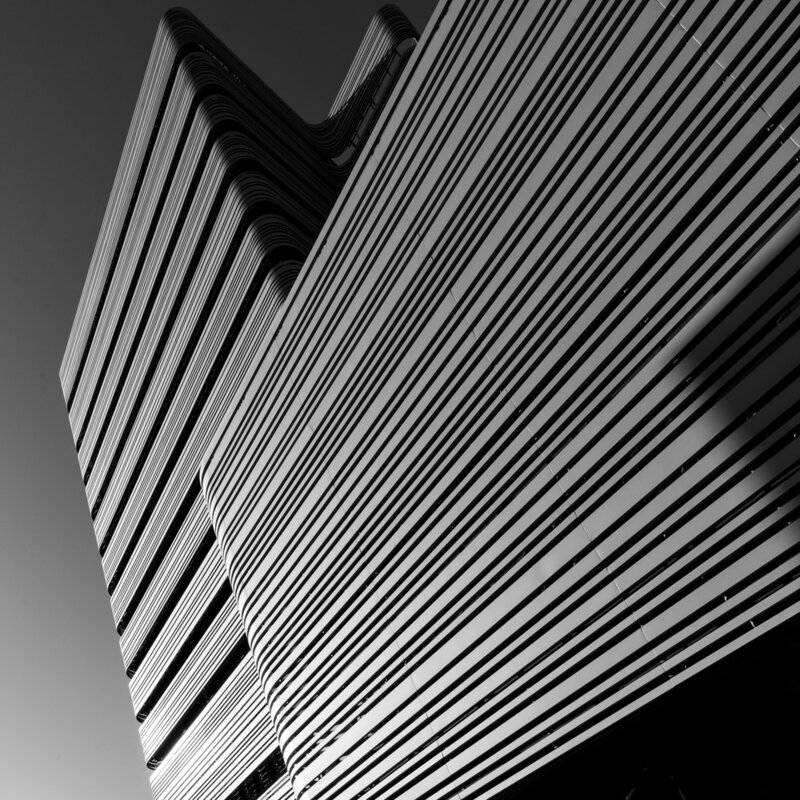 Focused on architecture, minimal and abstract. 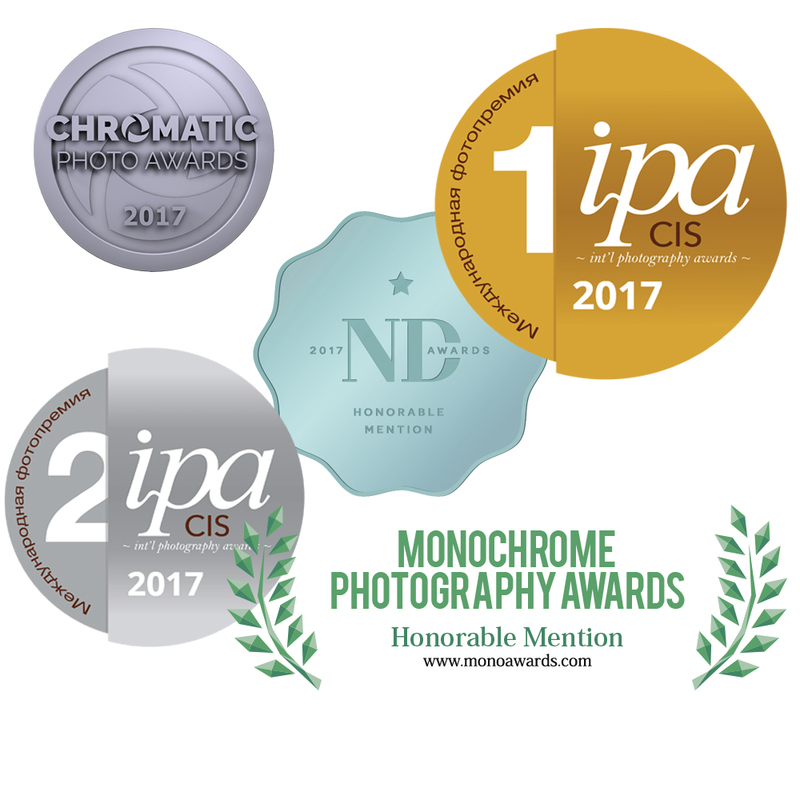 2017 Monochrome Awards, Category Architecture (Amateur) - Honorable Mention "Perforation"
2017 Monochrome Awards, Category Architecture (Amateur) - Honorable Mention "Transition"
2017 Monochrome Awards, Category Architecture (Amateur) - Honorable Mention "The Drill"
2017 Monochrome Awards, Category Architecture (Amateur) - Honorable Mention "Board"
2017 Chromatics Awards, Category Architecture (Amateur) - Honorable Mention "Yellow Arrow"
2017 ND Awards, Category Architecture Buildings (Non-Professional) - Honorable Mention "The Drill"
2017 International Photography Awards CIS, Category Architecture Buildings (Non-Professional) - 1st Category Winner "The Drill"
2017 International Photography Awards CIS, Category Architecture Buildings (Non-Professional) - Gold Winner "The Drill"
2017 International Photography Awards CIS, Category Architecture Buildings (Non-Professional) - Silver Winner "Yellow Arrow"
2017 Moscow International Foto Awards, Category Architecture Buildings (Non-Professional) - Honorable Mention "The Drill"
2016 International Photographer of the Year, Category Architecture Buildings (Amateur) - Honorable Mention "The Drill"
2017 Amateur Photographer UK, 23 september issue, APOY 2017 - "The Drill"
2017 Oneeyeland.com - "The Drill"
2017 Behance - "Legend of Tsvetnoy"
2017 Behance - "Aquamarine III"
2017 1x.com - "The Drill"